St. Albans – Kathleen M. Riley died Tuesday, September 12th, 2017, at the Franklin County Rehab Care Facility. Kathleen was an only child born in St. Albans, VT on August 16th, 1934, to James Patrick Riley and Mary Elizabeth Jarvis Riley. She lived her entire life in St. Albans. Kathleen attended and graduated from Holy Guardian Angels kindergarten and elementary school, Bellows Free Academy, and the Jeanne Mance School of Nursing in 1956. During her years in school she met four women whom would follow the same educational path as she did and graduate from Jeanne Mance and remained close friends with them the rest of her life. They were Joan Bisson LaPorte, Carol Bisson Lester, (deceased), Jeannette Bilodeau Schaffer, and Pauline Duquette Brady (deceased). She began her career as a Registered Nurse at Kerbs Memorial Hospital in 1956, leaving in 1964 to become the office nurse for well-known and respected St. Albans physician, Dr. Harlan P. Casavant. Upon Dr. Casavant’s death in 1976, she returned to Kerbs Hospital and worked as a per diem nurse until her appointment as the evening supervisor for the hospital and remained there until her retirement in 1996. During her retirement years, Kat travelled to Europe, Greece and the Caribbean, volunteered at NMC and St. Albans Historical Museum, and delivered meals on wheels to folks in need. 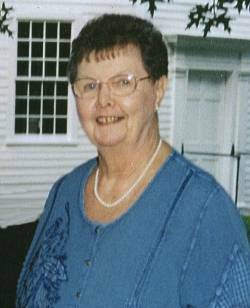 Kathleen was a member of the St. Albans B.P.W., past State President of the Catholic Nurses Association, member of the St. Albans Historical Society, and St. Albans Senior Center and Northwestern Medical Center Auxiliary. Kathleen was pre-deceased by her father in 1948 and her mother in 1977, Eugene Olmstead in 1998 and Anna May Olmstead I n 2017. She is survived by her adopted families, Richard and Debbie Olmstead and their families, Michael and Linda Olmstead and their families and the Dr. Harlan and Betty Casavant family, and close friends, Jeanne Begnoche and Frances and Ralph Henry, as well as distant cousins on both her mother and father’s families as well as numerous close friends and neighbors. At Kathleen’s request, there will be no calling hours. A Mass of Christian Burial will be celebrated on Wednesday, September 20th, 2017, at 11:00 A.M. at the Holy Guardian Angels Church, 245 Lake Street, St. Albans, with the Reverend Maurice J. Roy as celebrant. In lieu of flowers, memorials may be made to the Northwestern Medical Center Capital Fund, c/o Jeff Moreau, 133 Fairfield Street, St. Albans, Vermont 05478. To send a written expression of sympathy, please go to Kathleen’s on-line guest book at www.healdfuneralhome.com.